ChromaLuxe, the global leader in dye-sublimation metal prints is pleased to announce it will be sponsoring an exhibit by acclaimed rock and roll photographer Jay Blakesberg. Dark + Light, The Rock and Roll Photography of Jay Blakesberg 1978 -2017, will run Nov. 9, 2017 – Jan. 6, 2018 in San Francisco, California and will feature 142 images printed on ChromaLuxe aluminum. ChromaLuxe is an extension of Universal Woods, the world's leading manufacturer of hard surface sublimatable products and mezzanine decking. It is also a sister brand to Unisub, which provides the highest quality custom sublimatable products. To learn more about ChromaLuxe, please visit: ChromaLuxe.com. Connect with ChromaLuxe on Facebook (facebook.com/realchromaluxe), Instagram (instagram.com/realchromaluxe) and Twitter (twitter.com/realChromaLuxe). Today, EBONY magazine announced its annual EBONY Power 100 list, which honors the heroes and leaders of the African-American community whose work continues to inspire, influence and impact the next generation. “EBONY’s Power 100 list highlights African-Americans who exemplify brilliance in the fields of entertainment, arts, business and others,” says Linda Johnson Rice, CEO of EBONY Media Operations. “In addition to recognizing the EBONY Power 100 honorees, this is the inaugural year of the John H. Johnson Award, named after my father, the founder of EBONY magazine. The first recipient of this award will be business titan, investor and philanthropist Robert F. Smith,” Johnson Rice adds. Fierce advocate and legislator U.S. Rep. Maxine Waters will be recognized with the Icon Award for her many years of service and effective work in the U.S. Congress. EBONY is the No. 1 source for an authoritative perspective on the multidimensional African-American community. EBONY media reflects the cross section of Black America as delivered by the best thinkers, trendsetters, activists, celebrities and next-generation leaders. EBONY ignites conversation, promotes empowerment and celebrates aspiration. EBONY magazine is the heart, soul and pulse of Black America, and a catalyst for reflection and progression. Follow and engage: @EbonyMag on Twitter, @EbonyMagazine on Instagram, EbonyMag on Facebook, EbonyMag.Tumblr.com on Tumblr and Ebony.com on the web. In honor of Veteran’s Day, Perry’s Steakhouse & Grille (5 Oak Brook Center, Oak Brook; 630-571-1808) is offering a complimentary 3-course pork chop dinner to veterans on Sunday, Nov. 12 from 4 pm to 9 pm. 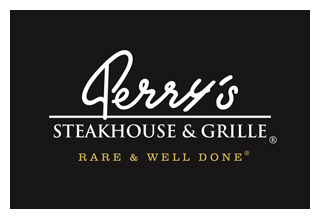 As a token of appreciation for U.S. active and former military, veterans who dine at any of the 13 Perry’s Steakhouse locations on Sunday, Nov. 12, accompanied by at least one paying guest with each veteran, will receive the 3-course pork chop Sunday Special for free. The dinner features a choice of salad, followed by the legendary slow-roasted, caramelized pork chop and the decadent dessert trio to top off the meal. Reservations are required to receive this special offer. Military I.D. is also required. All U.S. active or former military patrons must be accompanied by at least one paying guest that orders a dinner entrée or our 3-course pork chop Sunday Special. The complimentary meal is only available to U.S. active and former military. This offer does not include tax and gratuity. Perry’s Steakhouse & Grille has earned a faithful following by perfecting prime since 1979. Beginning as a butcher shop, Perry’s has grown into a renowned group of award-winning restaurants featuring USDA Prime beef, tableside carvings, signature selections, flaming desserts and handcrafted cocktails at its Bar 79. 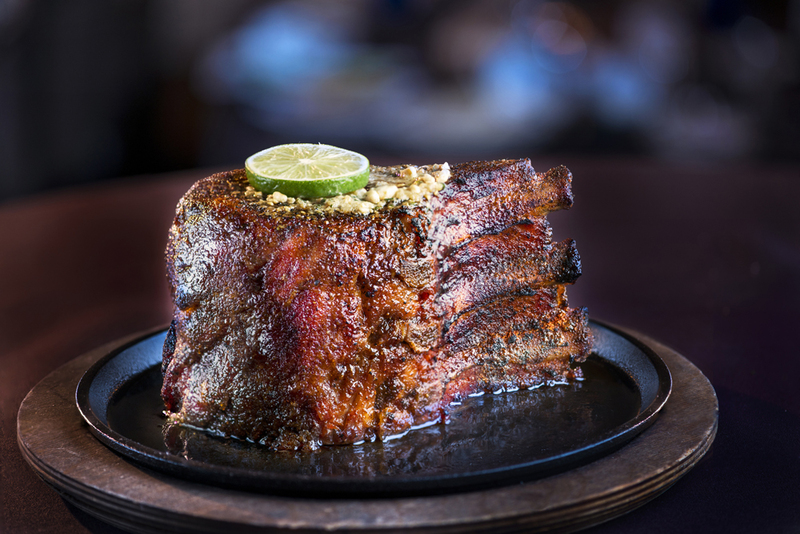 Specializing in a Rare and Well Done experience, Perry’s currently operates 13 steakhouse locations in Chicago, Denver, Birmingham and across Texas, as well as the two original butcher shops now known as Perry & Sons Market & Grille. For more information and updates on Perry’s Steakhouse, please visit www.PerrysSteakhouse.com. Last night family, friends and fans came together to celebrate the opening of Bruce Springsteen - Further Up The Road: A Forty Year Photographic Retrospect by Frank Stefanko at Morrison Hotel Gallery at the Sunset Marquis Hotel. While the Houston Rockets beat the Los Angeles Dodgers in game 7 of the World Series, across town at Morrison Hotel Gallery, family, friends and fans were celebrating Bruce Springsteen and the opening of photographer Frank Stefanko's exhibit Bruce Springsteen - Further Up The Road: A Forty Year Photographic Retrospect. 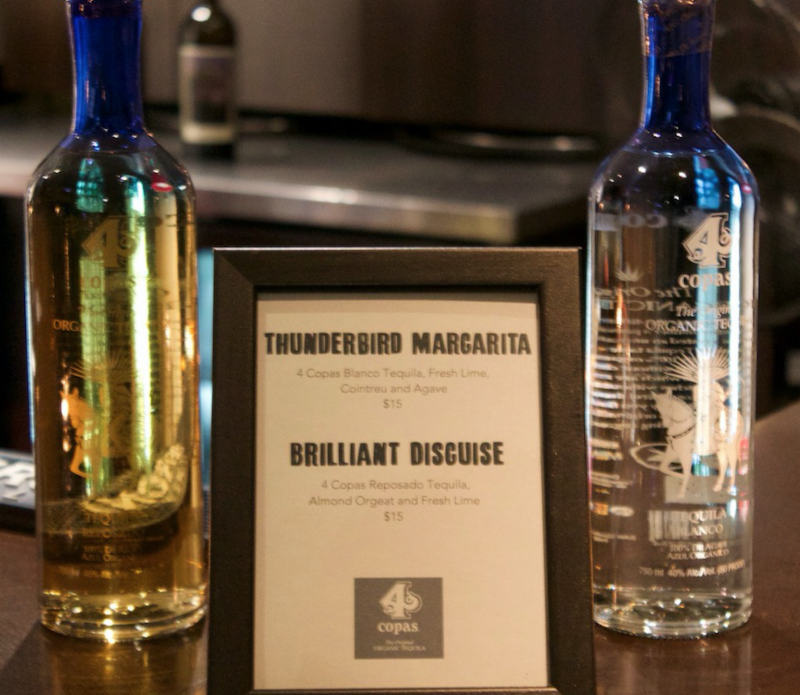 Guests enjoyed signature drinks such as the "Thunderbird Margarita" and "Brilliant Disguise" from 4 Copas Organic Tequila, who sponsored the event, as they took in the 35 images of Springsteen from Frank's new book, Springsteen: Further Up The Road (Published by Guido Harari of Wall of Sound Editions in Alba, Italy). One very special guest stood out among the crowd - Bruce's sister Pamela Springsteen. There were smiles and hugs all around when she came in to the gallery. The exhibit Bruce Springsteen - Further Up The Road: A Forty Year Photographic Retrospect exhibit will be up at Morrison Hotel Gallery in Los Angeles through November 12th. It will open at the gallery's NYC location on November 9th. All images in the exhibit, and the deluxe and collectors editions of the book, are available for purchase at www.morrisonhotelgallery.com, with world-wide shipping available. 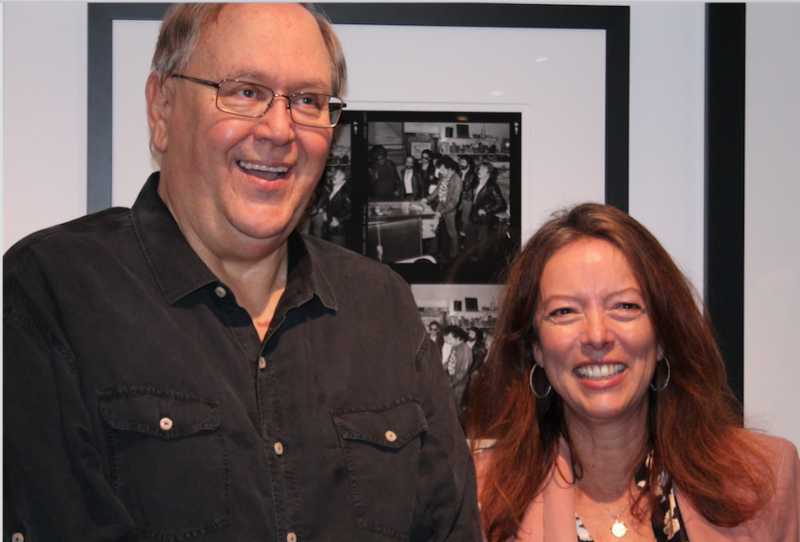 Morrison Hotel Gallery is the world's leading brand in fine art music photography, representing over 125 of the world's finest music photographers and their archives. Their vast catalog of photography encompasses jazz, blues, and rock imagery spanning several generations through to today's contemporary music artists and includes iconic photographs in the world of sports and celebrity. The gallery's beautiful and easy to navigate website lets users search for their favorite performer or photographer. Along with the incredible archive of photographs, Morrison Hotel Gallery offers other great gifts in their marketplace, such as books, box sets, exclusive and limited edition memorabilia, note cards that support a charity that helps at-risk animals, T-shirts, hats, bags and more. Whether purchasing online, over the phone or in person, customers get one-on-one, first-class customer service when working with the staff members at any of the 3 Morrison Hotel Gallery locations - NYC, Los Angeles and Maui. Frank Stefanko was a constant presence, documenting Springsteen's meteoric rise from sultry rock newcomer to mythical rock troubadour. Over the years, Stefanko's images have become ingrained in the Springsteen legend. He shot the covers for Darkness on the Edge of Town and The River, as well as the cover shot for Born to Run, Springsteen's best-selling autobiography, and Chapter and Verse, the album that accompanied the book. Now, Stefanko is sharing a never-before-seen selection of those photos in his new book, Bruce Springsteen: Further Up The Road. Published by Guido Harari of Wall of Sound Editions in Alba, Italy, the book will be a limited edition of only 1,978 copies. Each book has been carefully printed and bound by the finest Italian craftsmen and will be available through a limited number of outlets. Morrison Hotel Gallery is proud to present Bruce Springsteen - Further Up The Road: A Forty Year Photographic Retrospect by Frank Stefanko. This exhibition and sale will feature of 35 images - many of which have never been - featured in the book, as well as the opportunity to purchase a signed and numbered copy of the book, and signed and numbered prints in various sizes. All of the aforementioned are also available for purchase on the Morrison Hotel Gallery website. The lineup of photographs in the exhibit paint a striking portrait of an all-American rock hero who has only grown in stature during his meteoric rise to fame. The images demonstrate the onstage tour de force that energizes every Springsteen concert. It also features laid back shots of him and the E Street Band casually talking and laughing around a pinball machine. 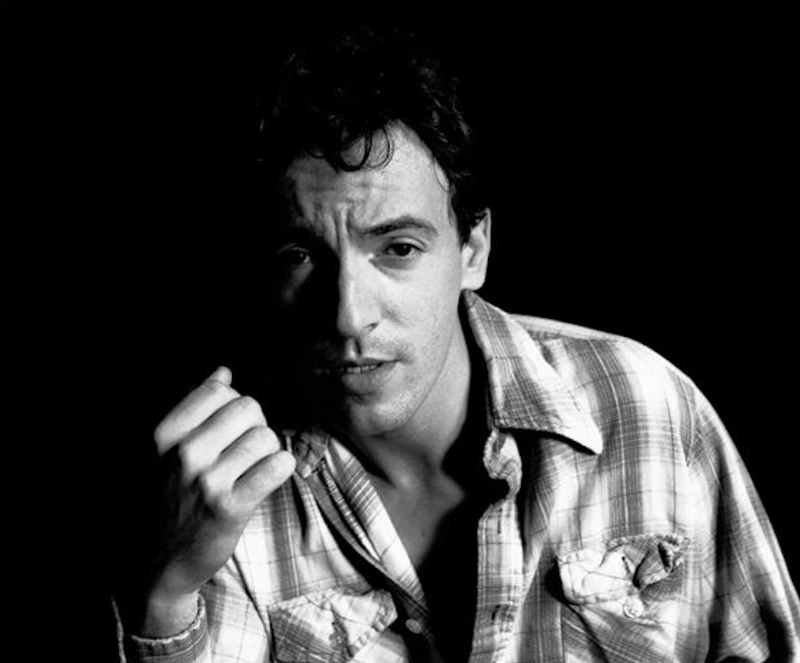 An early photo shows a young Springsteen preening proudly for the camera, while a more recent image has an older-but-wiser rock legend fixing the lens with a knowing gaze. In his autobiography, Springsteen wrote, "Frank's photographs were stark. His talent was he managed to strip away your celebrity, your artifice, and get to the raw you. His photos had a purity and a street poetry to them. They were lovely and true, but they weren't slick. [...] His pictures captured the people I was writing about in my songs and showed me the part of me that was still one of them." Bruce Springsteen - Further Up The Road: A Forty Year Photographic Retrospect by Frank Stefanko exhibition will open at Morrison Hotel Gallery's West Hollywood location, in the Sunset Marquis Hotel on November 2nd and be up through November 12th. It will open at the gallery's SoHo/NYC location on November 10th, right in the middle of Springsteen's much-awaited solo run on Broadway, and will be up for 3 weeks. The book will be available in two editions. The deluxe-edition, selling for $630, comes in a clamshell box and includes a beautiful signed and numbered photograph. The 400-page book weighs in at 10 pounds and features translucent, as well as fold-out pages. A select number of deluxe editions will be available at the two Morrison Hotel Gallery shows. The collectors edition of Bruce Springsteen: Further Up The Road will sell for $380. While it does not include the extra photograph, it comes in a gorgeous slipcover. "I am very excited about the release of this very special book and the gallery shows related to it, as it represents a forty-year photographic collaboration between Bruce and I," Stefanko said. "It also represents almost two years of amazing, creative work between Guido Harari and myself. It's very fulfilling to see this project finally come to fruition." Frank Stefanko is a fine art photographer whose work graces the album covers of Bruce Springsteen's Darkness on the Edge of Town, The River, and Chapter and Verse, as well as Southside Johnny's Hearts of Stone album cover, and Patti Smith's the Arista Years 1975/2000 box set. In addition, Stefanko's photographs also appear in Bruce Springsteen's Live 1975-1985, Greatest Hits, Tracks, The Promise: The Darkness on the Edge of Town Story, The Essential Bruce Springsteen, and The Album Collection Vol. 1 1973-1984. Mr. Stefanko is the author of the book, Days of Hope and Dreams: An Intimate Portrait of Bruce Springsteen, and Patti Smith: American Artist. Both of these books are now in their second edition. 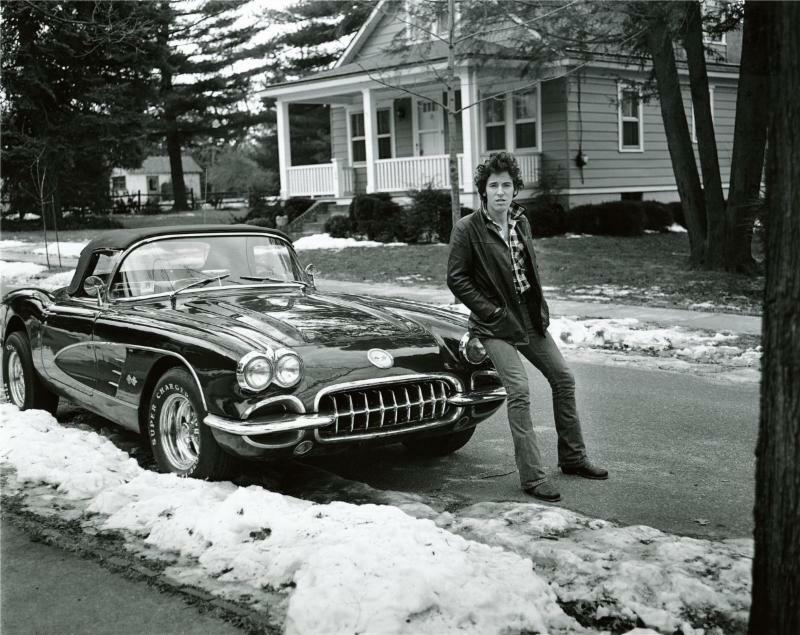 Moreover, Frank's photograph titled Corvette Winter was chosen for the cover of Bruce's autobiography, Born to Run, which was released in September 2016. Beyond Stefanko's rock photography, he has been assembling a portfolio of landscape photographs that feature place where the footprint of man has not yet touched. Living in New Jersey, Mr. Stefanko has been making photographs for over fifty years. Self-taught as a boy, inspired by film noir movies and the old masters such as Edward Steichen, Alfred Steiglitz, and Diane Arbus, he excelled in art and photography in both high school and college. "Photography has been the one constant in my ever-changing life." 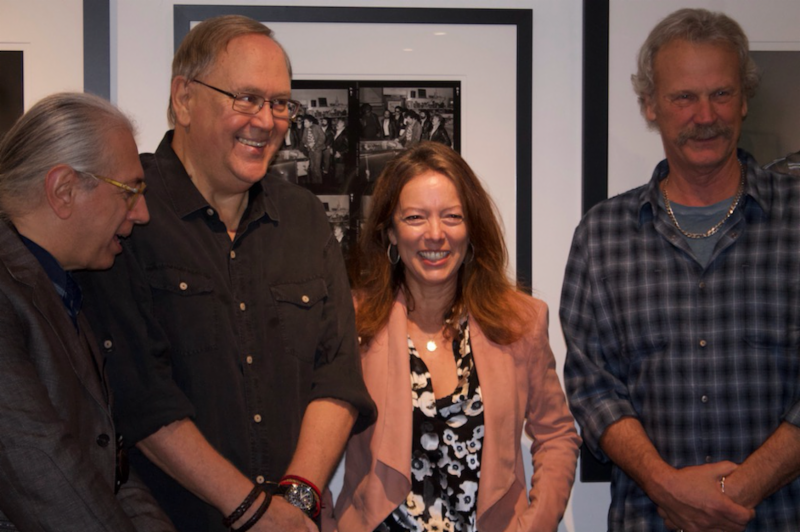 Morrison Hotel Gallery is a fine art music photography gallery that represents over 125 photographers, many of which have worked with Bruce Springsteen throughout his incredible career. At www.morrisonhotelgallery.com there is a catalog of over 100,000 images of musicians from the last 80+ years, including several hundred of The Boss on stage, backstage, with The E Street Band as well as candid photographs taken by legendary photographers like Timothy White, Danny Clinch, Lynn Goldsmith, Joel Bernstein, Frank Stefanko and many others. All images on the website are available for purchase and the gallery offers worldwide shipping. Photographs can also be seen at the gallery's locations in SoHo/NYC, in West Hollywood inside the Sunset Marquis Hotel, and at Mick Fleetwood's General Store in Maui, Hawaii. Along with the incredible archive of photographs, Morrison Hotel Gallery offers other great gift ideas in their marketplace, such as books, box sets, exclusive and limited edition memorabilia, note cards that support a charity that helps at-risk animals, T-shirts, hats, bags and more. Sad news >> DNAInfo and Gothamist have shut down! Hard to believe that the two most popular online news sites have shut down as of today. After receiving their email blasts this morning of various news stories in my town, I alost didn't believe it until I went to the site and read the statement. The City of Chicago will kick off the holiday season at the Millennium Park Campus on Friday, November 17—with the 104th Chicago Christmas Tree Lighting at 6 p.m. The free show will feature performances by cast members of Goodman Theatre’s A Christmas Carol, recording artistsTemecula Road and the Oakdale Christian Academy Choir. The McCormick Tribune Ice Rink at Millennium Park and the Ice Skating Ribbon in Maggie Daley Park will open earlier that day at noon. The 2017 City of Chicago Christmas Tree was donated by Darlene Dorfler of Grayslake, Illinois. The 62-foot Norway Spruce was selected out of 71 submissions received by the Department of Cultural Affairs and Special Events. The Tree will shine in Chicago’s iconic Millennium Park (Washington St. and Michigan Ave.) through January 6, 2018. For country music fans, Southwest Airlines presents Temecula Road the rising country music trio comprised of sisters Emma and Maddie Slute and Dawson Anderson. The group will also perform on November 18 during the BMO Harris Bank Magnificent Mile® Lights Festival. Additionally, more than 70 students from the Oakdale Christian Academy Choir will perform inspirational holiday music. The ceremony will be emceed by Demetrius Ivory and Erin Ivory of WGN-TV Morning News along with a special appearance by Santa and Mrs. Claus. The 104th Chicago Christmas Tree Lighting is presented by the Department of Cultural Affairs and Special Events sponsored in part by 93.9 MY FM, Chicago Transit Authority and InterPark. The lights adorning the Tree are donated by IBEW Local 134 and the decor at its base is provided by the Millennium Park Foundation. The McCormick Tribune Ice Rink at Millennium Park and the Ice Skating Ribbon in Maggie Daley Park will open earlier that same day on Friday, November 17, at noon, and will offer ice skating through March 4, 2018, weather permitting. Before the McCormick Tribune Ice Rink opens to the public, there will be a free program at 11 a.m. with performances by ice skaters from Ice Reach and a grand finale by cast from Cirque du Soleil’s newest production, Crystal – A breakthrough ice experience Admission is free, and skate rental is $12 on Monday through Thursday and $14 on Friday through Sunday and holidays. Visit the Millennium Park website for more information including hours and free ice skating lessons. The Millennium Park Campus is the epicenter of holiday fun in Chicago. See the lighting of the city’s sparkling Christmas tree, skate at the iconic McCormick Tribune Ice Rink, and join in caroling at Cloud Gate (aka “The Bean”) or the Do-It-Yourself Messiah at the Harris Theater for Music and Dance—all in Millennium Park, Chicago’s town square and the #1 attraction in the Midwest. There’s more skating and family fun just across the BP Bridge at the ice ribbon in Maggie Daley Park. The Wreathing of the Lions has been a tradition at the Art Institute of Chicago for more than 25 years; watch as cheery holiday wreaths are placed on the regal lion statues on the museum steps (where they’re up all season), then head inside for art-making activities. And you won’t want to miss the Dance-Along Nutcracker® at the Chicago Cultural Center—with dance lessons and live music for children of all ages and abilities under the world’s largest Tiffany stained-glass dome. Millennium Park Campus holiday events and activities are produced by the Chicago Department of Cultural Affairs and Special Events along with the Art Institute of Chicago, Chicago Architecture Biennial, Chicago Park District, Harris Theater, the International Music Foundation, Lurie Garden and The Park Grill & Plaza at Millennium Park. For photos click - Millennium Park Holiday Events. The Department of Cultural Affairs and Special Events (DCASE) is dedicated to enriching Chicago’s artistic vitality and cultural vibrancy. This includes fostering the development of Chicago’s non-profit arts sector, independent working artists and for-profit arts businesses; providing a framework to guide the City’s future cultural and economic growth, via the 2012 Chicago Cultural Plan; marketing the City’s cultural assets to a worldwide audience; and presenting high-quality, free and affordable cultural programs for residents and visitors. For information about programs presented by the Department of Cultural Affairs and Special Events, visit cityofchicago.org/dcase, like us on Facebook (Department of Cultural Affairs and Special Events) and follow us on Twitter and Instagram (@ChicagoDCASE).